This site #PW201, is in the Karigorpara village of Swarupnagar block in the district of N 24 Parganas. Saidul Karigor donated the site for the community. Changed from Ramapado to Saidul Karigor and Ramapada has been shifted to PW193. 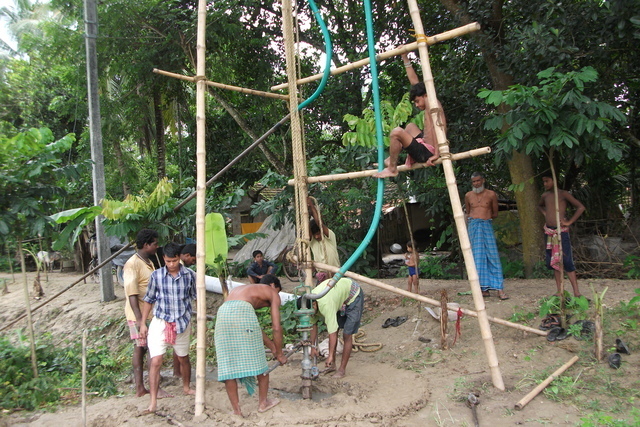 PW201: Construction of the bore-dugwell is complete.